Mother Jones passed away at the Burgess home in Hyattsville, Maryland on 30th November 1930. Her funeral was held on December 8th at the Church of the Ascension, the Mount Olive Catholic Church. From there, her remains were taken and buried in the Union Miners Cemetery at Mount Olive near the graves of the victims of the 1898 Virden Massacre. James Goltz with Cork’s Lord Mayor Councillor Mary Shields at Cork City Hall. 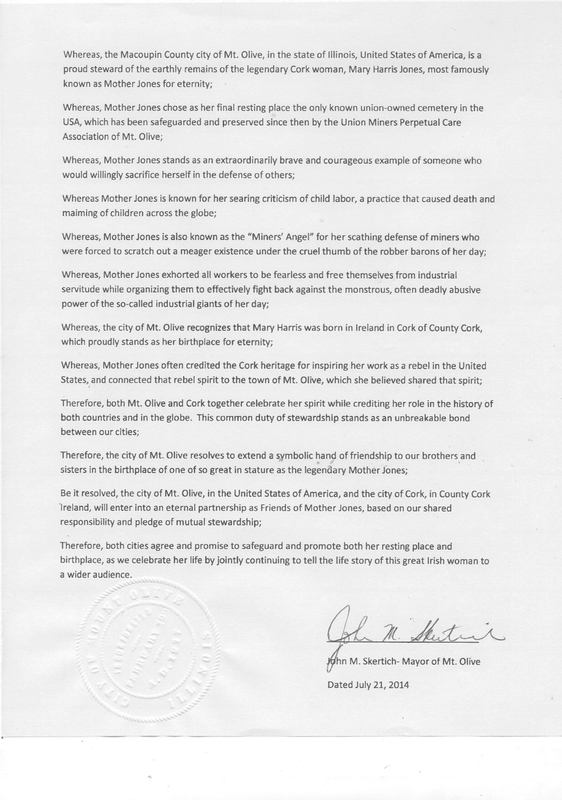 The Cork Mother Jones Committee is delighted to support the initiative taken by the city of Mount Olive. The Shandon Area Renewal Association has already agreed to promote, encourage and foster the links between the community of the birthplace of Mary Harris/Mother Jones and the community where she now lies at rest. 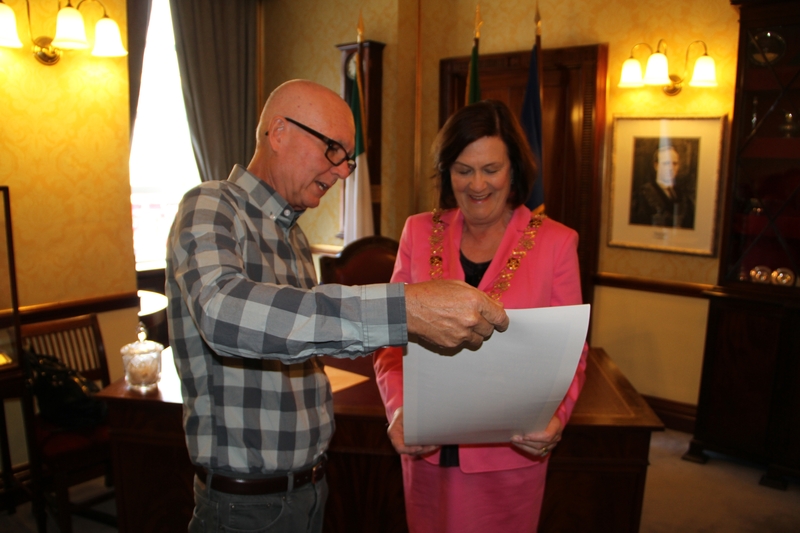 A motion supporting the adoption of the Mount Olive proclamation will be presented to Cork City Council and it is the fervent wish of all involved that it be supported and formal fraternal links be established between the custodians of her native birthplace and her chosen resting place.